The Stella table base is light on its feet and incredibly strong. It is designed to hold a marble, stone, or quartz top. 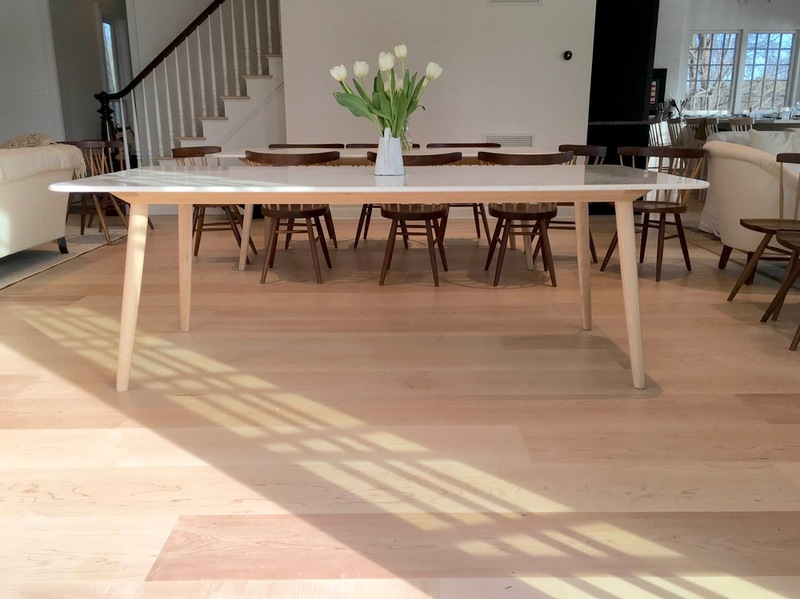 The Stella tables were initially designed in hard maple for Youngs Farm apple orchard on Long Island. Their pies are as good as it gets. The Stella Table Base features half-lap and mortise and tenon joinery, and turned legs. It is shown here in hard maple, and in walnut. The dimensions shown are 84"w x 36"d x 30"h. This table can be modified for a custom fit. With all table bases, clients source and procure the marble, stone or quartz top separately, according to exact drawings Mark provides.